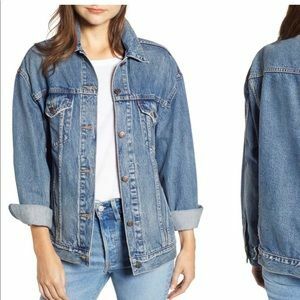 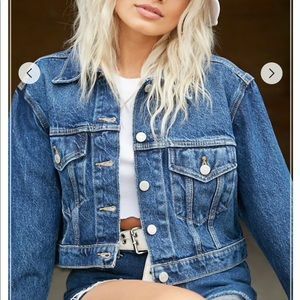 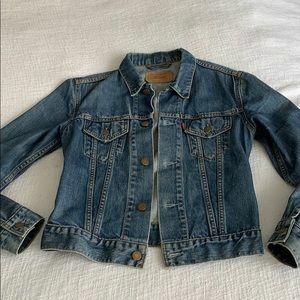 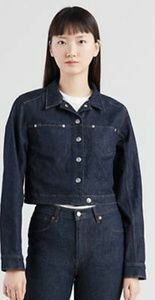 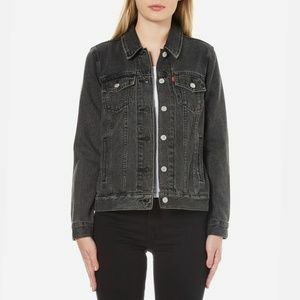 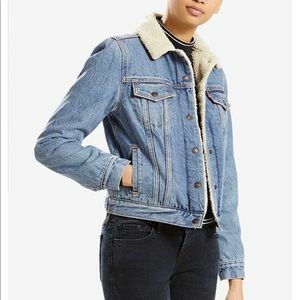 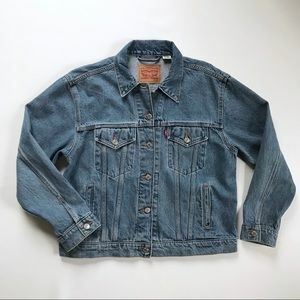 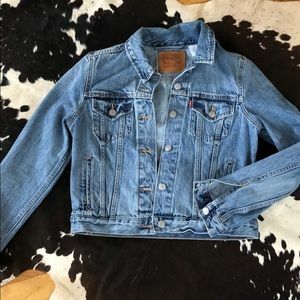 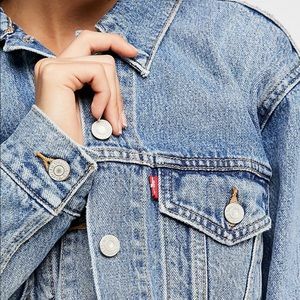 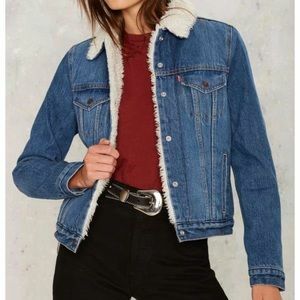 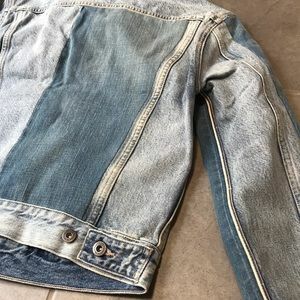 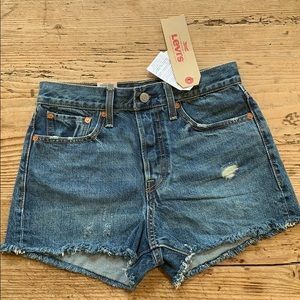 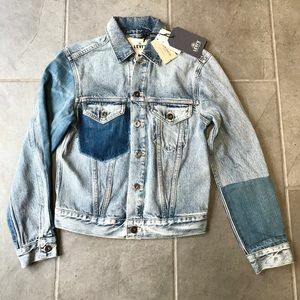 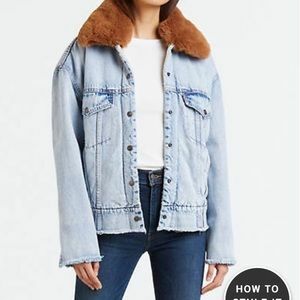 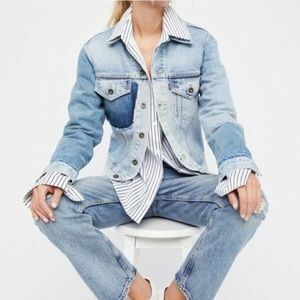 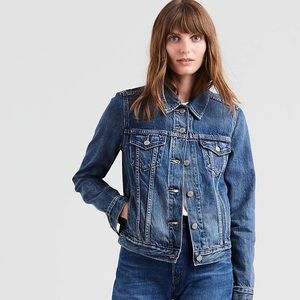 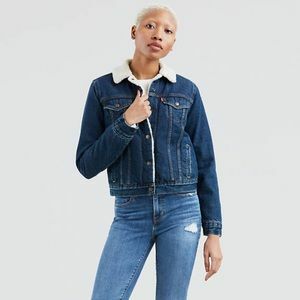 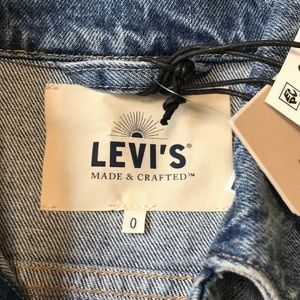 Exuding an urban, deconstructed edge, the LMC Boyfriend Trucker Jacket by Levi's Made & Crafted offers a vintage-find aesthetic without the endless thrifting. 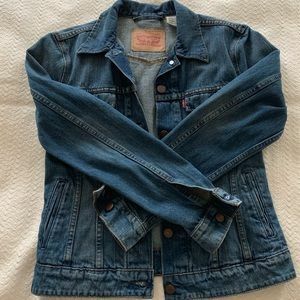 - Oversized boyfriend boxy fit - 100% cotton denim; non-stretch - Medium and light blue wash - Selvedge detailing; fraying edges - patched denims - Button-through front; gunmetal hardware - Twin chest pockets - Contrast stitching. 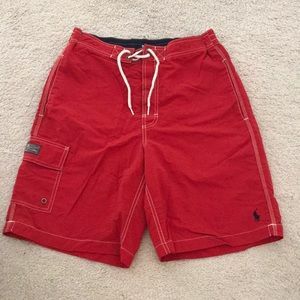 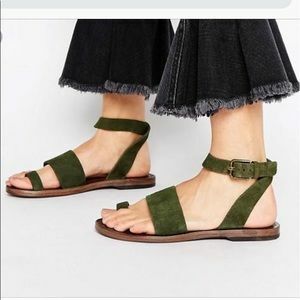 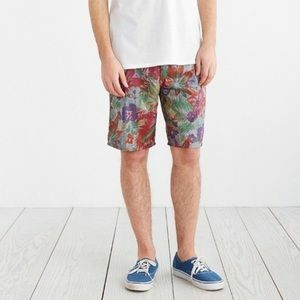 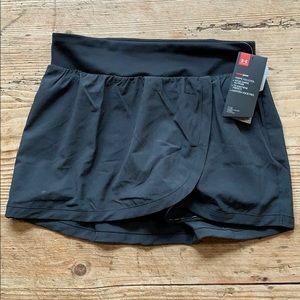 European size 0 is a US size XS. 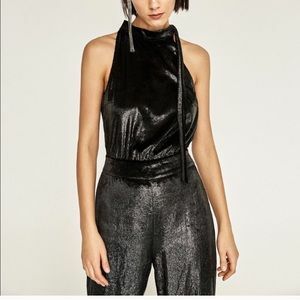 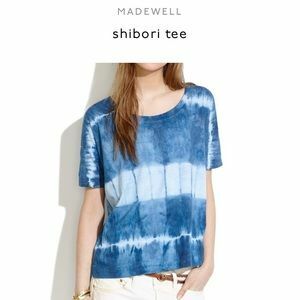 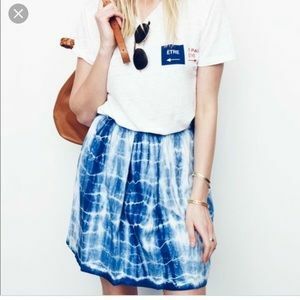 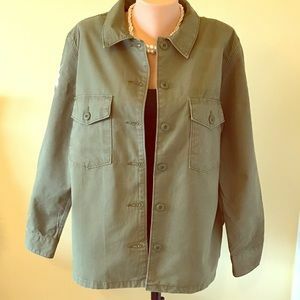 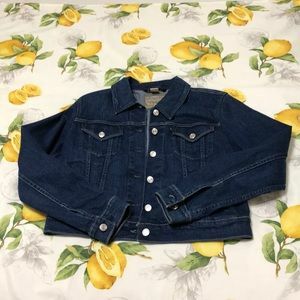 This is an oversized fit so would fit size XS-S.
amandjag Is this one also made in Japan? 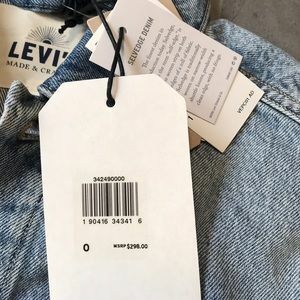 prcs841 What are the measurements? 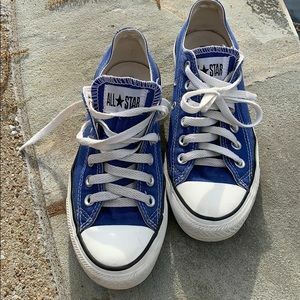 prcs841 @wendypie thanks! 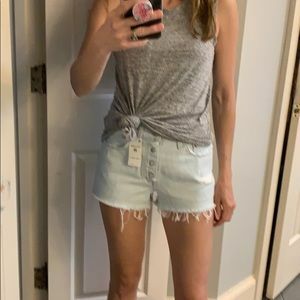 Can you measure the top of the arm across the bicep? 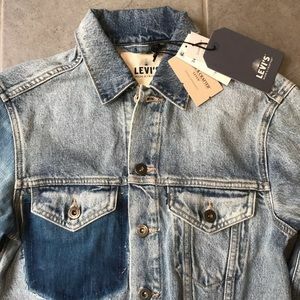 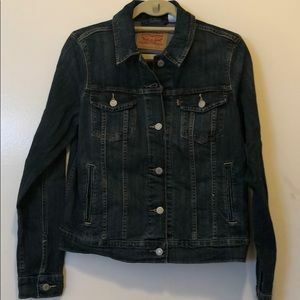 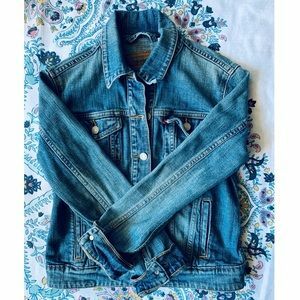 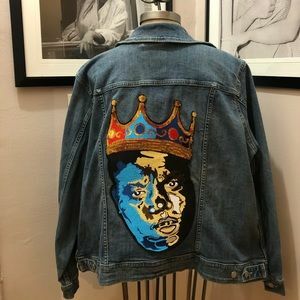 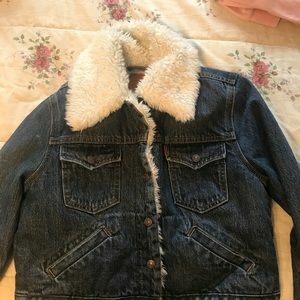 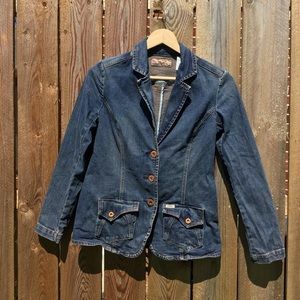 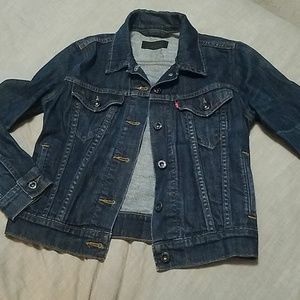 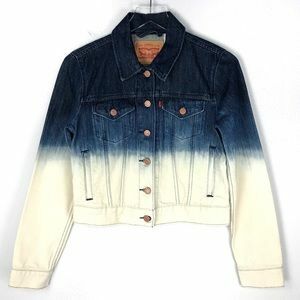 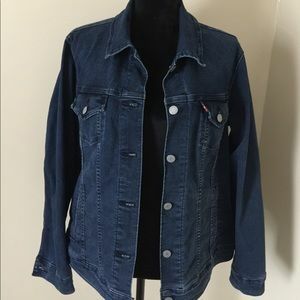 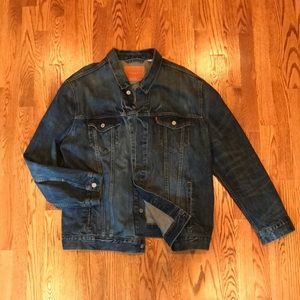 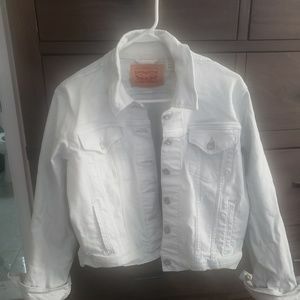 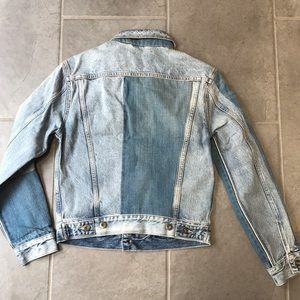 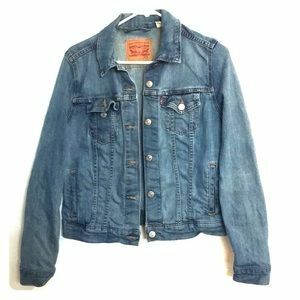 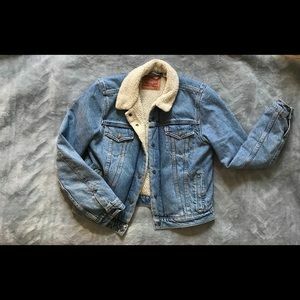 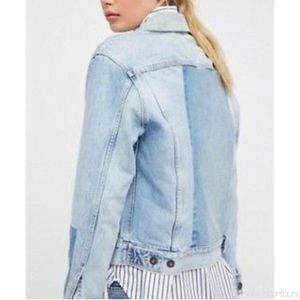 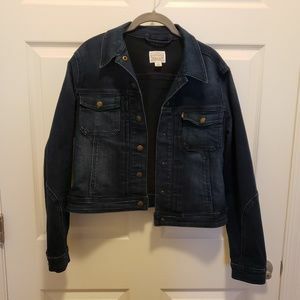 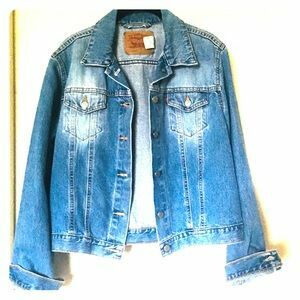 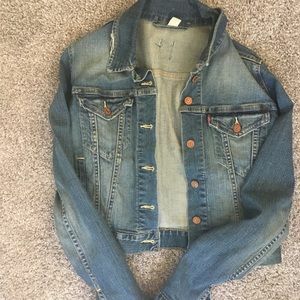 Size XS/S Levi’s denim jacket.